The Deepwater Horizon oil spill disaster in April 2010 prompted the creation of oil spill response systems for use in the Gulf of Mexico and in the North Sea. Two oil spill prevention systems are now available for oil and gas producers in the Gulf of Mexico, and a well capping device is currently under construction in the UK that will be used as part of the UK oil and gas industry's oil spill response efforts. 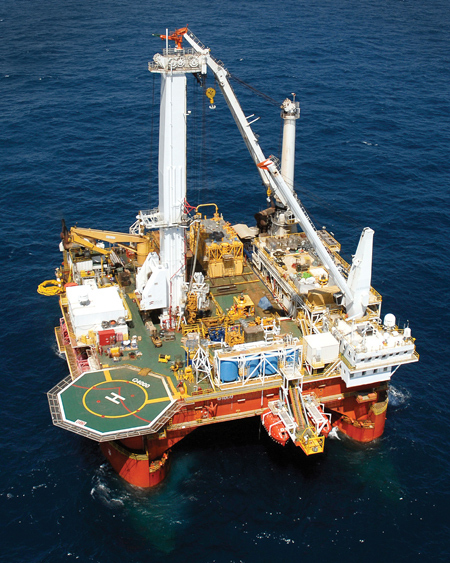 The Helix Well Containment Group (HWCG) plans to conduct a third tabletop exercise in late May to increase its members' coordination and preparedness for a subsea well containment incident. The group already has conducted two tabletop exercises this spring. The most recent exercise in late March brought together more than 225 technical professionals from the oil and gas industry. HWCC has signed an agreement with Helix Energy Solutions Group, which will provide primary components of the well containment response system. 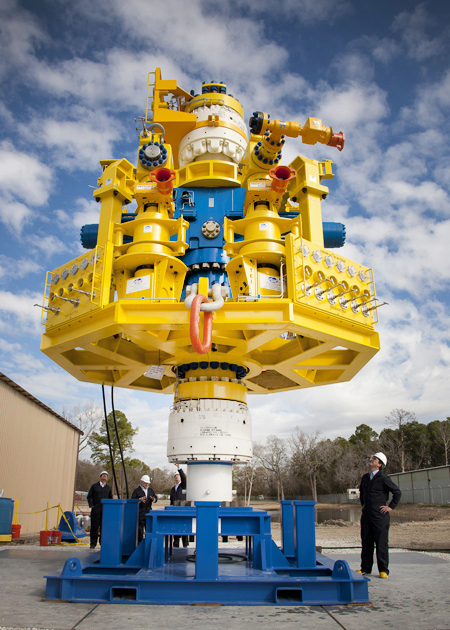 The Helix Fast Response System (HFRS), which has been developed using Helix Energy Solutions Group assets that were deployed in the Deepwater Horizon incident, is expected to be fully operational for water depths of up to 10,000 feet by this summer. Twenty-three deepwater Gulf operators comprise the HWCG consortium; these operators represent two-thirds of the deepwater operators in the Gulf of Mexico and approximately half of all deepwater oil and gas production in the Gulf. Members include Anadarko Petroleum Corp.; Apache Corp.; ATP Oil & Gas; BHP Billiton; Cobalt International Energy; Deep Gulf Energy; Eni; Energy Resource Technology GOM; Hess Corp.; LLOG Exploration Company; Marathon Oil Company; Marubeni Oil & Gas; Murphy Exploration & Production; Newfield Exploration Company; Nexen Petroleum; Noble Energy; Plains Exploration & Production; Repsol E&P USA; Statoil; Stone Energy; Walter Oil & Gas Corporation; Woodside Energy; and W&T Offshore. The Marine Well Containment Company (MWCC) in February launched its interim rapid response system to capture and contain oil from potential underwater well blowouts in the deepwater Gulf. The system can operate in up to 8,000 feet of water and process up to 60,000 b/d of fluid. Work is underway to expand the system to operate in up to 10,000 feet of water and process up to 100,000 b/d, with components to be delivered in 2012. Capping Stack, Marine Well Containment Co.
ExxonMobil, ConocoPhillips and Chevron announced the plan to build and develop the system last July; since then, BP, Anadarko Petroleum Corp., Apache Corp., BHP Billiton, Shell, Hess Corp. and Statoil have joined MWCC. These 10 companies operated approximately 70 percent of deepwater wells drilled in the U.S. Gulf of Mexico between 2007 through 2009. The non-profit, stand-alone organization is open to all companies operating in the U.S. Gulf of Mexico. The private sector worked hand in glove with the U.S. Coast Guard's research and development division and U.S. Navy research centers to assess technology, particularly for surface containment applications, said Owen Kratz, Helix president and chief executive officer, while testifying before Congress on April 4. "The NOAA also had tremendous value to bring to bear," said Kratz. "We certainly encourage those government agencies to work closely with industry organizations like the HWCG and Marine Well Containment Corporation established by some of the major integrated oil companies." Helix used the lessons it learned from its participation in containing the Deepwater Horizon oil spill to its approach to containment efforts in the future. While coordinating and idea sharing is very important to making advances, Kratz noted that the U.S. government can assist the industry by minimizing the cost of capital by reinvigorating programs specifically designed to advance maritime industrial development. A familiar program of this type is the U.S. Maritime Administration (MARAD)'s loan guarantee program. Kratz said MARAD could help responsibly and within fiscal constraints, and has a "proven track record for bringing innovative vessel designs to market. "As we have seen, the most innovative vessel designs will be the most useful going forward," Kratz said. The Q4000, built in Texas with MARAD financing, provides an excellent example, and was instrumental in bringing the Macondo blowout under control, Kratz said. Having a diverse array of players in upstream oil and gas has allowed for technological innovation. "When the government fails to respond appropriately to permitting concerns or creates significant doubt which undermines business confidence, it saps potential investment capital necessary to innovate," Kratz said. Energy industry association Oil & Gas UK in March confirmed that construction of a well capping device was underway at Cameron Ltd., in Leeds, UK. The capping device will become a key element of the UK offshore oil and gas industry's oil spill response contingency plans. Completion of the device is due this summer. The cap is modular in design, with specifications that allow it to be deployed in the widest range of possible oil spill scenarios that could typically be encountered in the UK Continental shelf including west of Shetland. The device has an overall working pressure rating of 15,000 psi, and is capable of capping a well flowing up to 75,000 b/d and in water depths of up to 5,500 feet. Capping should be achieved within 20-30 days of the incident, depending on weather and well site conditions.